The Feast of St Peter Chanel is a special one for the Society of Mary every year. 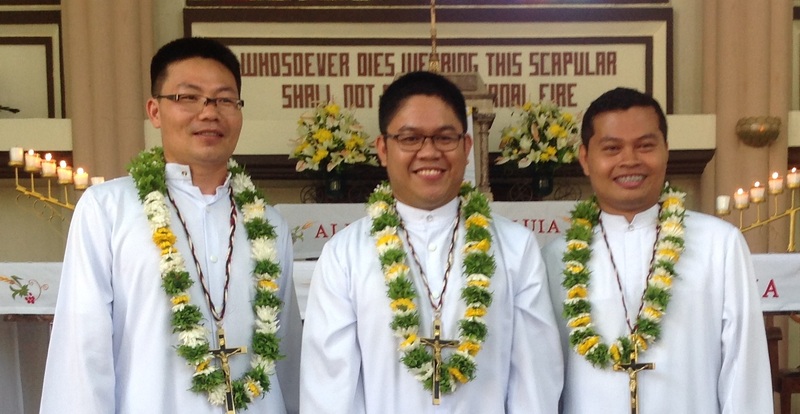 This year, however, the day was doubly joyful for the District of Asia as it celebrated the perpetual profession of three of its members. On 28th April, Niño Memorial SM (Sto. 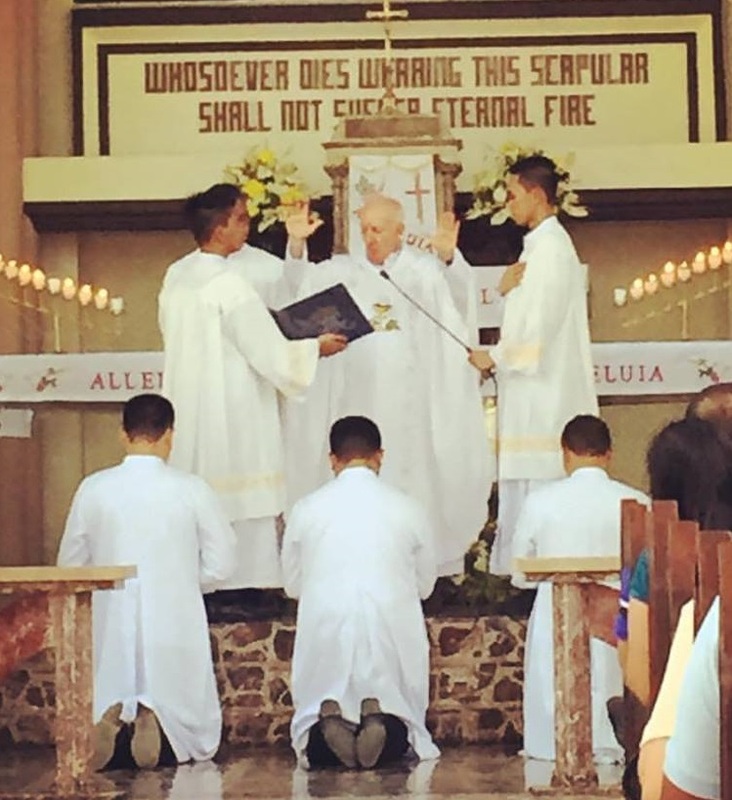 Niño, South Cotabato), Roque Rebito SM (Villamonte, Sultan Kudarat), and John Guo Wang SM (Lanzhou, China) professed the evangelical vows of poverty, chastity and obedience for life within the Society of Mary. The professions took place within a Mass celebrated at the Carmelite Monastery, Bajada, by District Superior Fr Pat Devlin SM. A large crowd, including Marist Brothers, Marist Sisters, Marist Missionary Sisters, Marist Laity, friends and family, attended the ceremony. Niño, Roque and John have been on the journey of initial formation as Marist religious for some ten years now. Batch mates as novices in Davao 2009-2010, the three were reunited last year at the conclusion of John’s theological studies in Rome. 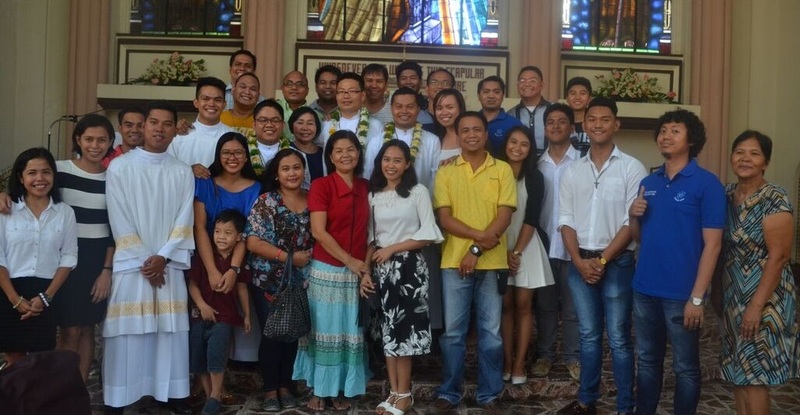 Niño and Roque finished their theological studies in Davao earlier this year after returning from mission assignments in Thailand and Tonga, respectively. Marists and other friends around the world rejoice at the generous commitment Niño, Roque and John have made. 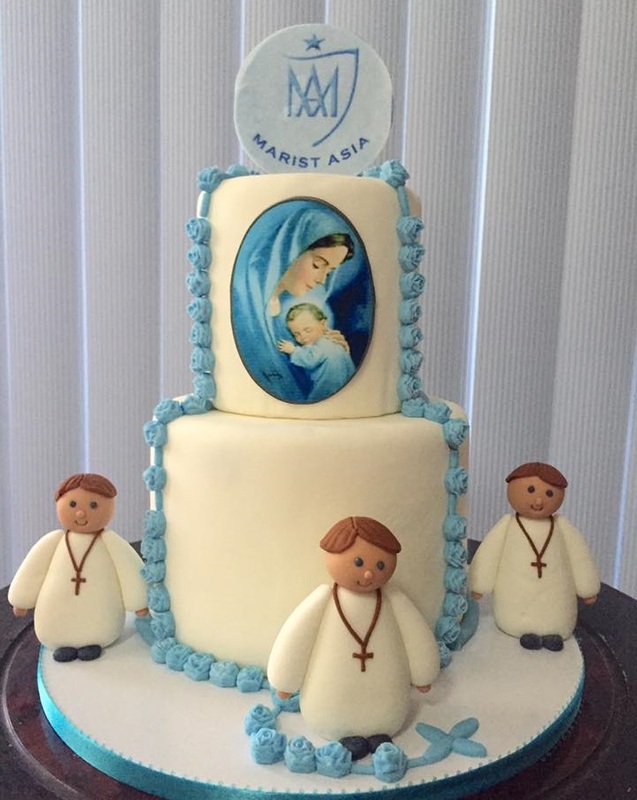 We wish them every blessing for long and fruitful lives as worthy sons of our blessed and merciful Mother.